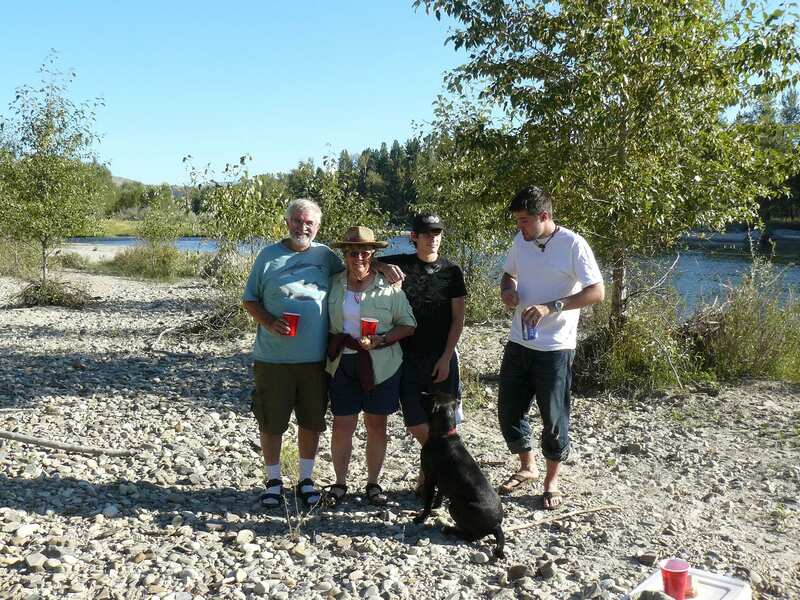 SuzAnne and Sterling Miller returned to SuzAnne's home state of Montana with their two sons, Jake and Mark, after long careers as scientists working in wildlife management in Alaska. 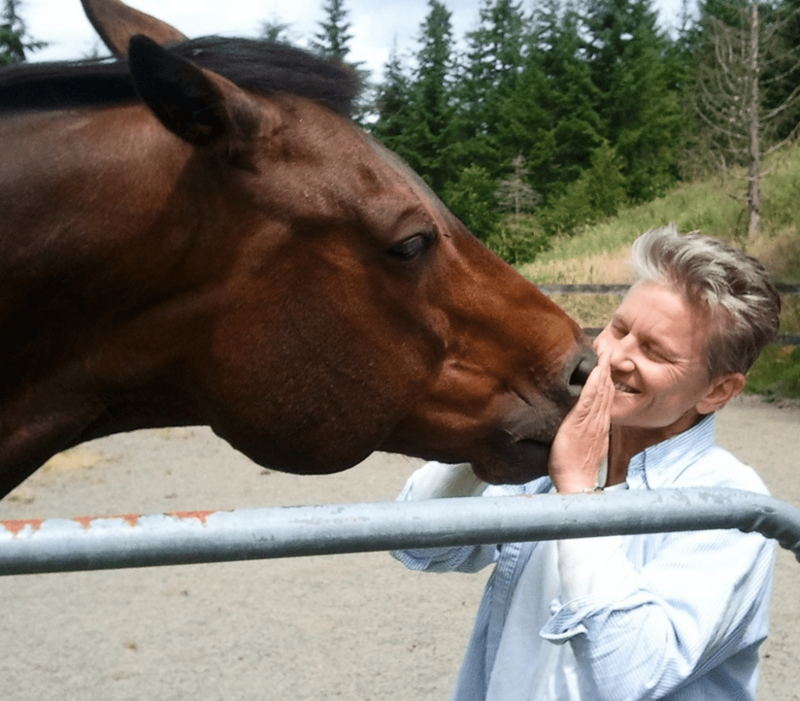 SuzAnne's love of horses, animals, nature, science, and the arts lead her to create Dunrovin Ranch and DaysAtDunrovin. As a youngster, SuzAnne clearly didn’t fit the mold. She was the first girl in Butte to have her own paper route. She refused to learn how to type because she feared that would doom her to working in an office the rest of her life; and her father went before the school board so she could take classes in mechanical drawing instead of home economics. Fresh out of high school, SuzAnne became one of the first women to “man” a Forest Service fire lookout by herself. She met the love of her life, Sterling Miller, at the University of Montana while she was studying forestry and he was studying wildlife biology. After marrying, they joined the Peace Corps and spent three years in Chile. They returned to the US for graduate school at the University of Washington, where SuzAnne majored in biomathematics. They then migrated north to Alaska, where they spent more than 24 years in professional posts with the Alaska Department of Fish and Game – Sterling as a research biologist specializing in bear research and SuzAnne as a biometrician involved in research on nearly every species of fish, bird, or mammal in Alaska. SuzAnne’s experience included countless field trips, where she fine-tuned her outdoor skills under extreme conditions – including going toe-to-toe with a 1,000-pound sea lion in the Gulf of Alaska. The Millers’ time in Alaska brought fulfilling careers, fantastic adventures across the entire state, and two wonderful sons: Jake (born in 1987) and Mark (born in 1992). 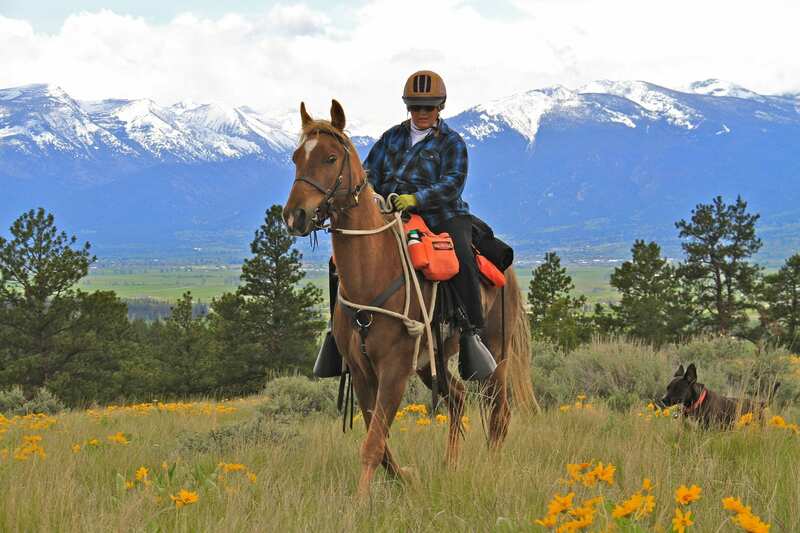 Yet for all the beauty and grandeur of Alaska, Montana retained a strong hold on their hearts – in part because of SuzAnne’s love of horses and her desire to return to “horse country.” They bought Dunrovin in 1997 and have since turned the property into a quality Tennessee Walking Horse ranch. She was delighted to return to Montana and kneel to “kiss the ground” as her family had always done when Coming Home to Montana. When not introducing Montana to guests, SuzAnne continues to consult with government and private agencies on the human dimensions of managing natural resources. 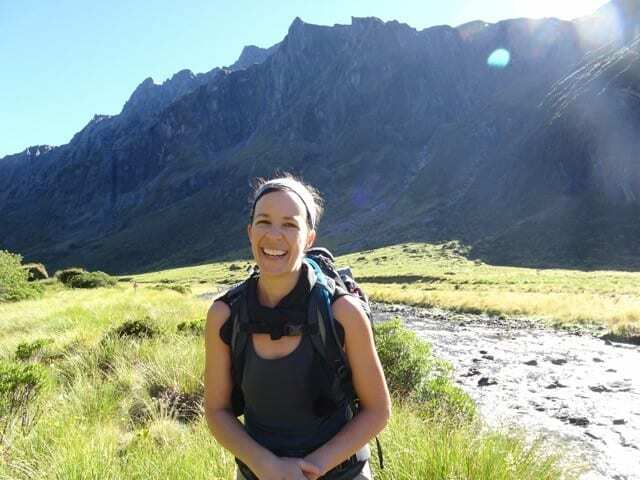 One of her consulting projects, The Montana Challenge, established the link between the health of Montana’s natural landscape – its land, water, and wildlife – and Montana’s socioeconomic landscape. She has been across the state meeting with public groups to discuss the economic importance of maintaining Montana’s environmental quality. SuzAnne served as the vice president of the Tennessee Walking Horse Association of Montana, has been a member of the Missoula Backcountry Horsemen, and has served on the board of the Montana Natural History Center. Sterling is a world expert on grizzly bear ecology and population dynamics and past president of the International Association for Bear Research and Management. He recently retired as the Senior Scientist for the Northern Rockies Office of the National Wildlife Federation. He remains an associate professor for the University of Montana and the University of Alaska. While Sterling’s interest in the outdoor center around rivers and canoes, he embraces SuzAnne’s love of animals, especially dog and horses. He has proven to be a Sterling Horse Husband! SuzAnne’s and Sterling’s two sons are great students with broad interests. Jake graduated with a law degree from Gonzaga University in Spokane, Washington, in 2015 and is currently getting an additional degree in computer science with an eye towards becoming a patent attorney. Mark graduated from Montana State University with a degree in computer science and mathematics and is now employed by an international software development firm with offices in Montana. Both boys are carrying on the family tradition of outdoor activities: Jake recently biked over 300 miles from Spokane to Seattle; and Mark and his college buddies are hooked on fishing and canoeing. Mark is the proud owner of two dogs that he adopted from the Bozeman animal shelter. 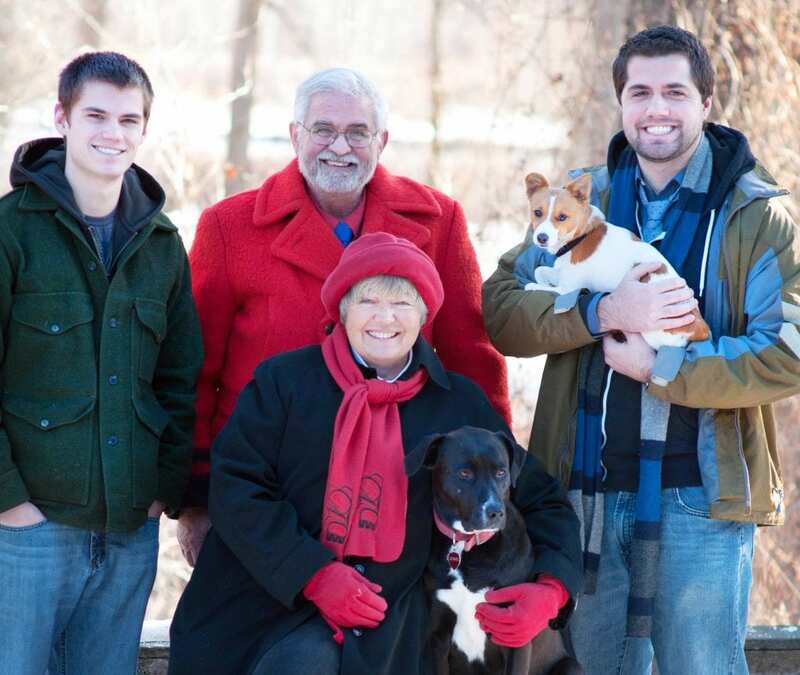 The entire family shares a deep appreciation for travel, the arts, and sports. The boys were active in the Missoula Children’s Theater and family trips have taken them to New York City, Las Vegas, Montreal, Europe, and Australia to enjoy theater productions, festivals, hiking, boating, swimming, scuba diving, and touring. Jake is an accomplished competitive swimmer while Mark has a second-degree black belt in Taekwondo. Both boys spent part of the summer of 2010 in Europe – Jake studied in Russia and Mark toured central Europe with his British cousin. Most important to SuzAnne and Sterling: Dunrovin Ranch and the opportunity to help you explore connections with the natural world, animals, and people from across the globe. Their long careers in natural resource management and their world travels have taught them just what a privilege it is to live and work in Montana – the last best place! 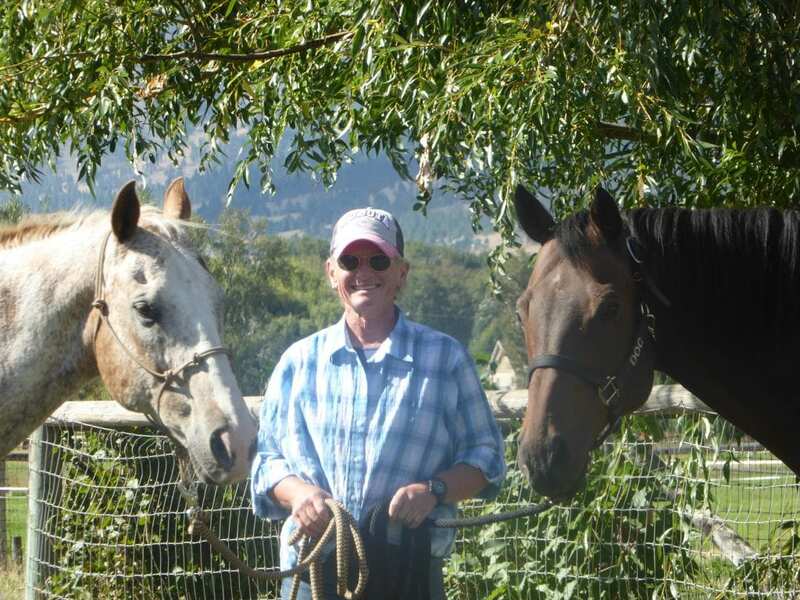 Kelli Kozak's background working in the Hollywood entertainment industry, serving as a school teacher, and managing horses at several ranches makes her the perfect Dunrovin Ranch/D@D member interface. She's wild about the ranch, wild about D@D community members, and eager to connect the two. I’m most at home deeply immersed in nature, so it might seem strange that I’m actually a third-generation native of Los Angeles, California. My journey with horses officially started at the age of two-and-a-half, when I stuck to a buckin’ bronc for a full five minutes. Granted, that very patient horse was mounted and on display at the Knott’s Berry Farm amusement park, but still… The deal was sealed when I got a pony for my sixth birthday. I never looked back, starting riding lessons and successfully competing on my pony, Spooky; my Morgan, Mister Murphy; and my grade mare, Dolly. Many beloved horses followed in their hoof steps. Every up and down, every joy and sorrow in my life is attached to the name of a horse. I am blessed that these wonderful creatures continue to be the benchmarks of my life. humans. It’s an ongoing conversation. the water comes up and over the riverbanks in a matter of hours. I learned to rely on the wisdom of folks who had been through floods for decades and on neighbors who leapt into action without being asked. Dealing with frightened animals requires Zen-like calm and absolute focus. When one of the horses panicked during that first flood evacuation, or a local dog attacked an alpaca, or a cow fell into a deep hole, I had to be a better person for them. With any luck, that better person sticks around and becomes even better the next time. inhabitants arrived in the mail: A beautiful hatband made from Doc’s long, black tail. It is something I will treasure forever. If you visit the ranch, you’re likely to be greeted by a dog or two. If they’re unruly, they’re probably mine. Aero is a greyhound/Staffordshire mix, an older gentleman who acts like a teenager. Aero was a street dog in South L.A., now living the dream in Montana. Inu is a red Heeler who thinks Aero is ridiculous and that he could use some manners. Dunrovin is quite a busy place. Lots of unforeseen things are guaranteed to happen. Triumphant. Embarrassing. Dangerous. You see, animals don’t care if we are tired or cold or hungry or just plain fed up. In situations that “go south” and require human intervention, despite a desire to stay snug in bed or enjoy a meal and a book, you have to tell yourself, “I’m becoming a better person, dang it… I’m doing this because I love you.” It gets you through. James Wasem is a technical geek with personality to boot. 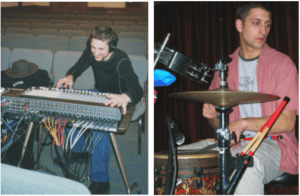 He pursued his dream in a rock band where he learned to create quality sound – then he used that knowledge to write a book to help volunteers produce great church sound. His webcam live streaming experiences lead him to check out Dunrovin Ranch where he has been essential ever since. 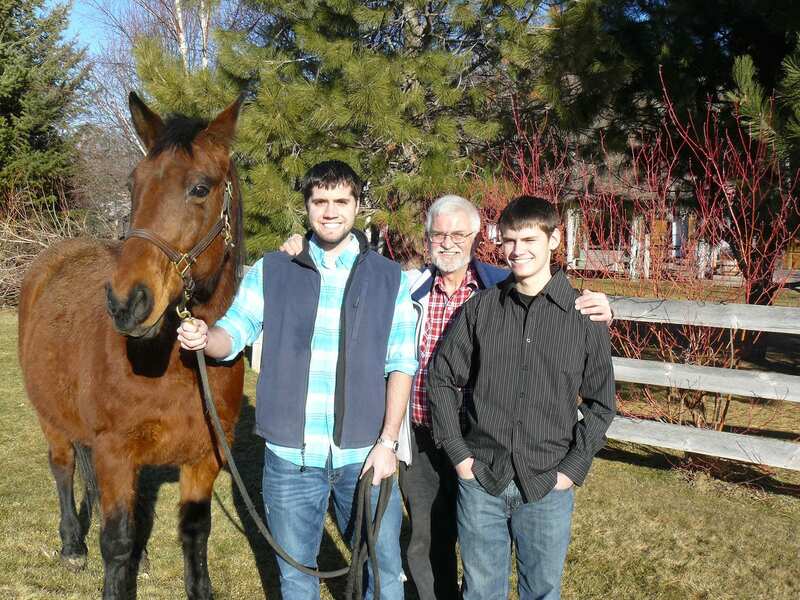 James Wasem comes to Dunrovin Ranch via his wife Kate’s interest in learning about horses. 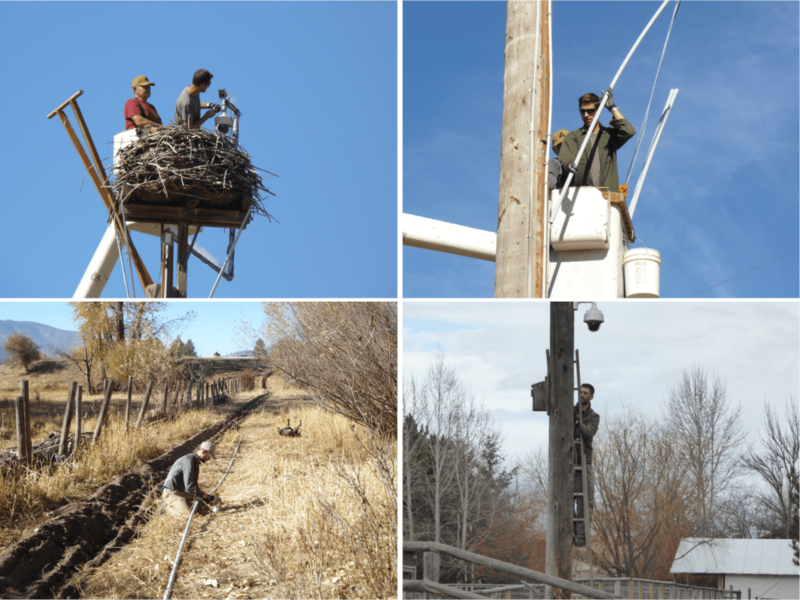 Kate came out to Dunrovin Ranch some years ago to check us out and found out that we were involved in live streaming with web cameras – which was totally up James’ alley. He couldn’t believe that a guest ranch in Lolo would be operating a network of webcams, so he just had to check it out for himself. Dunrovin has sought his expertise ever since. He’s a man that loves getting his hands on equipment, digging in the dirt, and engineering almost anything you can conjure up. He’s a man of many talents and man with a mission in life to make things better for all. He’s a true find. You might get the idea that I’m in love with technology based on all the different things you’ll see on this page. I grew up in western Montana. My dad was an electrical contractor, so I got to learn a valuable trade and see how a small business really works. It’s funny. Growing up, the last thing I wanted to be was an electrician. Turns out, I became one, in two states! Dunrovin Ranch found Mackenzie via a newspaper article about him and his horse Canner. Mackenzie is a creative writer and editor. He knows his way around website development and video production. But most of all, he is Certified Master Clicker Animal Trainer who viserally connects with animals. Mackenzie Cole has been involved with Dunrovin Ranch for a long time, in a number of different capacities. He is a creative writer, a poet, an editor, a Master Clicker Animal Trainer, and is more than competent on the back side of a website or in video production. He is a Master Jack of many trades! The Missoulian newspaper chronicles Dunrovin’s discovery of Mackenzie Cole and Canner in their December 2012 Canner Article. However, that account would not have been possible had the Missoulian not published their original August 2012 Canner Article. Which just goes to show that good things can come from reading local newspapers. Dunrovin is grateful that Mackenzie and Canner have become integral parts of the ranch. Mackenzie’s work as a clicker trainer stems from his deep personal commitment to leading through patience and kindness. He is steadfast in its application and breaks down big issues into small steps – rewarding the behavior he wants and ignoring the behavior he wants to discourage. Canner, for his part, has begun to show his curious and playful side – with Mackenzie, the other horses in what has become his herd, and even to strangers. His progress is remarkable. Watch and learn along with us as these two gentle souls work hard to remake Canner’s world. Please read the Missoulian December 2012 Canner Article and their original August 2012 Canner Article. I have to admit, it feels a little odd to say I’m back. From my side, it seems like I never left! Since it’s been a while since I’ve been on the cams and active at the Ranch, here’s a short re-introduction and run-down on what I’ve been up to and what I’ll be doing on camera this fall! I first came out to Dunrovin back in 2013. I’d just adopted Canner, my flighty Arabian gelding who was about to be put down (you can catch up on the whole saga here, just scroll down to Canner’s Story in four parts). In fact, there’s also a couple of newspaper articles that explain how I ended up at Dunrovin. Check them out here and here! SuzAnne graciously offered to let Canner come and stay at Dunrovin, and the rest is, well, history. In the five years since, I’ve worn many hats around the ranch. I’ve endeavored to train the mischievous Divas, I’ve worked with many different dogs, including Ohso and Kola after their deathly blow-out over a stick. And I’ve also worked with many dogs from the Humane Society of Western Montana out at the ranch to give them a much-needed break, to try to help their behavior a little, and – hopefully – to introduce them to a potential forever home that was waiting on the other side of the cams. I organized an adoption event, brought out great musicians like Ryan Bundy, and have worked with SuzAnne and the team behind the scenes to help make the website run as smoothly as we can! I’ve also written a bunch for the magazine and blog, which you can check out here if you’re not already familiar. 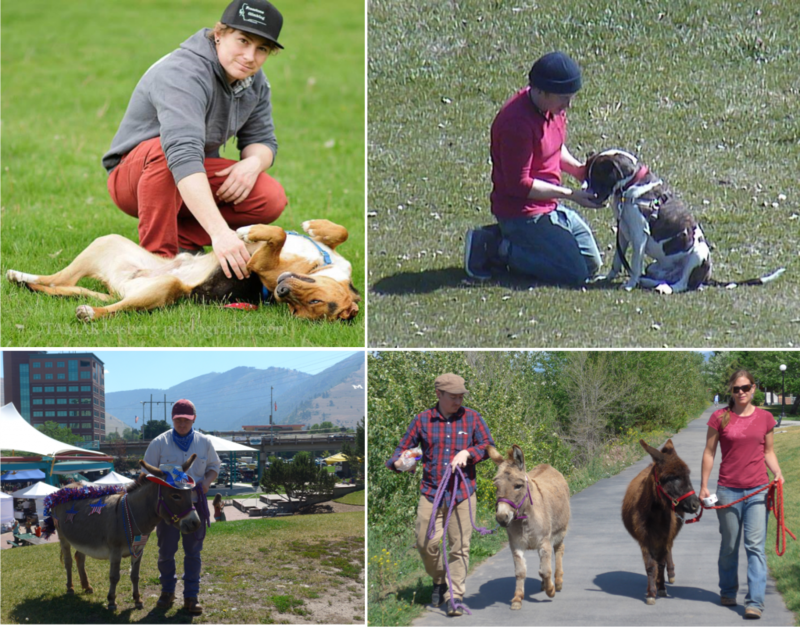 Outside of Dunrovin, I’m a certified canine behavior consultant with my own business, No Bad Dogs, and a poet living in Missoula. I also work for a local non-profit called Climate Ride, where I fill out spreadsheets and also write blog posts part-time. One of my main pursuits and passions is working with and coaching animal trainers and owners across the country in the hopes of helping to shift the current culture of treatment towards animals and pets. While my on-camera activity has lessened a bit since pursuing these other passions, I’ve still been out visiting Canner regularly and helping out with the magazine. The good news is that now I’ll be back to train dogs and the Divas and work with Canner. I’m excited to be back on the cams and out of the behind-the-scenes at Dunrovin! Be sure the check the D@D calendar to catch all of my events. Hopefully, I’ll see you all on chat for all the adventures yet to come! Kate Dunn has a most imaginative mind and the skills to transform her mental musings into beautiful art. 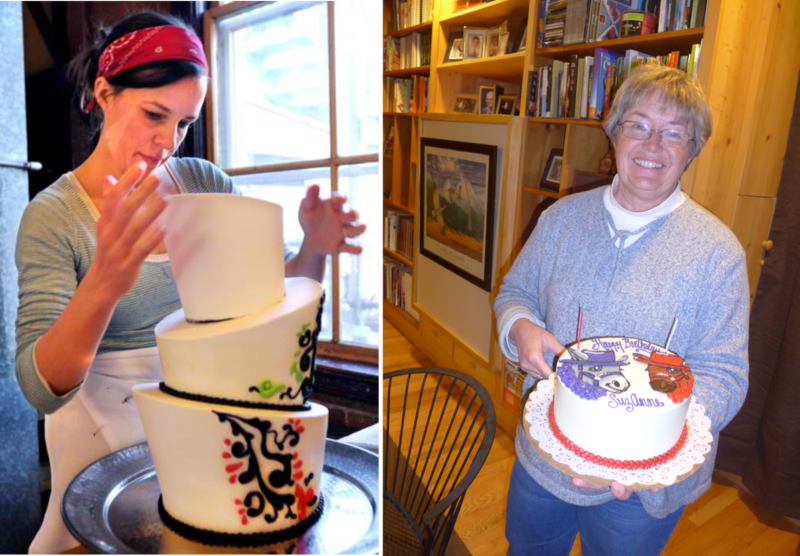 A baker, a cook, an artist, and a writer, she is forever creating whimsical windows on the world. She channels Dunrovin's Donkey DIVAS and its many other animals in so many ways. It was a great stroke of luck when Kate Dunn came out to Dunrovin Ranch to inquire about horseback riding some years ago. Little did she or we know where this was going to lead. 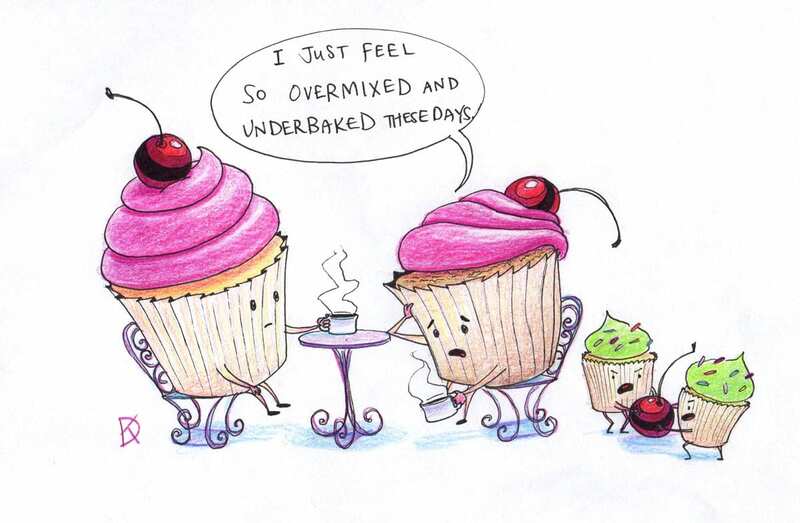 Kate has an affinity for animals and baked goods. She also has a whimsical mind and talented hands to translate her mental musings about both into beautiful illustrations, charming comics, and incredible cake decorations. A visit to her website, www.KateIsDunn.com, is a delightful way to spend a few moments with some eccentric and mischievous characters that have made their way out of her mind and onto paper. When Kate went home from her first Dunrovin Ranch visit and explained to her tech guru husband, James Wasem, what was happening at the ranch, he just had to come out and see for himself. This was the start of a great partnership between James, Kate, and Dunrovin in which DaysAtDunrovin benefits greatly from both James' left brained (logical, analytical, and objective) attributes and Kate's right brained (creativity, emotion, and intuitiveness) inclinations. They do say that "opposites attract!" Kate will be learning to lead the DIVAS (if anyone can lead the DIVAS) and channel their personalities into their Animal Advice from the Wise Asses monthly column. Look for Kate in front of the web cameras man handling the DIVAS and on various DIVAS' outings to meet and greet their fans. Her portrayal of their antics are sure to enchant us all. One year, Kate even decorated a cake for my birthday from the DIVAS. My first career goal in life was to be a wolf. When I learned that wasn’t possible, I decided I’d be a zoologist. Then I got hold of a video camera and imagined I’d be the next Spielberg. I went to art school and was drawn into illustration. I moved to Montana and found myself baking and cake decorating. And now - surrounded by wildlife, cameras, stories, and hungry neighbors - I get to experience a little bit of each, every day. My journey began in the wilds of Pennsylvania Dutch country - where the groundhogs and horse buggies roam. Where scrapple and shoo-fly pie are on the menu every day (whether you want them to be or not), and where low, rolling hills are called ‘mountains’. It’s also where I spent most of my life - exploring old barns, crashing through backyard cornfields, and running the narrow trails of the nearby woods. I first laid eyes on Montana in 2003. My two brothers and I took a road trip from our hometown of Lebanon all the way to Missoula. I’ll never forget watching the Rocky Mountain front climb higher and higher in our windshield as we approached. The day you learn what real mountains look like is a humbling one, indeed. The place, and its people, stayed in my mind during my college years in Savannah, Georgia. When I graduated, there was only one place I wanted to go. And after meeting James, there was only one place I wanted to stay. We’ve done our fair share of travel, especially over the last few years. Living and working in Oregon and Maine. Traveling across the country for 5 months, house-sitting and pet-sitting for folks. Tramping around New Zealand and Australia for 5 weeks. But western Montana is where we met, and where we’ll always return.